As sure as the sun will rise, every December 31st, we’ll be ringing in the New Year. Will you have wrapped up your finances by then? There’s something very satisfying about turning our calendars to January. It always feels like a fresh start. We resolve to develop new, better ways of using our work and leisure time. We reflect on what we accomplished in the last 12 months, and we look forward to achieving even more in the next 12. But sometimes we have a nagging feeling that we forgot something. And it often has to do with our finances, both personal and professional. You can take steps now to make New Year’s Day less worrisome. Doing some extra work in QuickBooks during December will ensure that you’ll start the new year ready to move ahead, rather than scrambling to see what you missed on January 2. Prior to this, though, there’s another important task you should complete before the end of the year. It’s common sense, but not everyone thinks of it during the December rush: Make sure you’ve entered all transactions and payments that should be included in your QuickBooks file for that year. 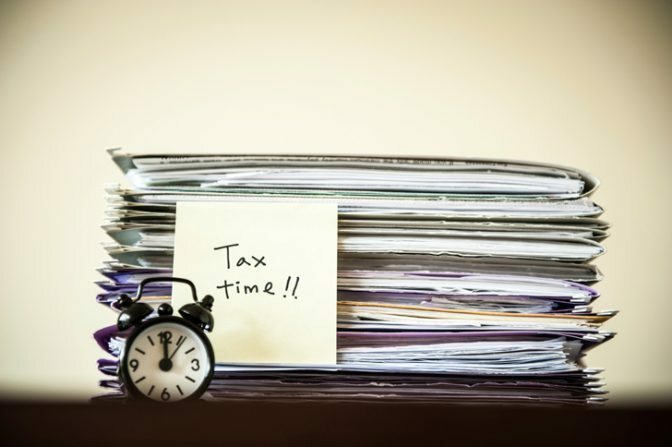 You may have already been working with us on tax planning for the current tax year. If you haven’t, and you haven’t been doing so on your own, you need to look at your incoming and outgoing funds for the year before it’s over. Do you need to hold until the new year some income and/or expenses that haven’t been recorded until then? This kind of question really needs to be resolved now. Figure 2: Time is short, but we may be able to help you make some decisions about carrying some of the current year’s income and/or expenses over to the new year if it will help reduce your tax obligation. And when you think you’ve entered everything but payments or transactions that may come in at the last minute (unless you’re going to defer these until the new year), all accounts should be reconciled. QuickBooks makes it easy to do this regularly. Figure 3: Before the end of December, you should do a final reconciliation of all accounts for the current year.